India U-16 has been preparing well for the upcoming AFC U16 Championship Final scheduled in the next month. 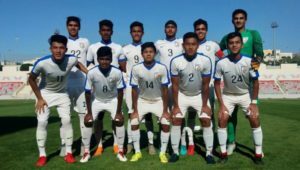 Recently the Indian U16 team led by coach Bibiano Fernandes has coherently performed at the WAFF U16 Championship and defeated Jordan ( 4-0), Iraq ( 1-0), Yemen ( 3-0). Recently the Blue Tigers defeated an adroit Cameroon U-16 team by a scoreline of 2-0 to boost their morale ahead of the Besiktas U16 match at Istanbul, Turkey. The match kicked off exuberantly for the visiting team as they opened their scoreline within 3 minutes from Vikram Pratap Singh’s strike. He further went on scoring a hat-trick by his other two goals coming at 40′ and 52′. 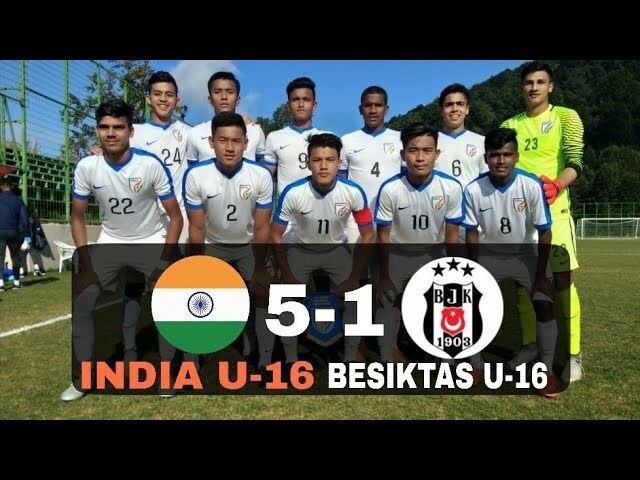 Rohit and Bhuvnesh added more spark to the scoreline by scoring two more goals at 81′ and 87′, the Turkish opponents were stupified with a goal at the 85th minute, making the final result as 5-1 in favor of the Indians in the friendly.